This page is offered as notes for our field report. It is not a complete range report. A range report will be completed after multiple visits to the area. The three Herd Management Areas (HMAs) are referenced as the “Flanigan Complex. The Flanigan HMA is located approximately 35 miles north of Reno/Sparks in the Virginia Mountains. This HMA contains hills at 4,265 feet above sea level to mountains over 8,000 feet. The Dogskin Mountains and Granite Peak HMAs are located approximately 25 miles north of Reno/Sparks. Again in these two HMAs we have steep and rugged terrain. In lower elevations livestock permittees do run cattle. Yes… you did the math right. AML for Flanigan is 80 allowed on over 17,000 acres of public land. AML for Dogskins is 10 wild horses on nearly 7,000 acres of public land. The AML for Granite Peak is 11 wild horses on nearly 4,000 acres of public land. Of course in this area BLM uses ‘low AML” as it’s figure. The “MUD,” that is referenced above, was created well before any comprehension of genetic viability was understood or the National Academy of Sciences (NAS) report of 2013. In press releases BLM likes to talk about how “inaccessible” and “rugged” the terrain is in the Complex. Yet Livestock and other uses, like ALOT of ATV and recreation, occurs in these areas. In the Granite Peak and Dogskin HMAs the ATV use is so significant in warmer months that travel in those areas can be dangerous as “weekend warriors” converge on the range and disturb what is a beautiful place with loud high speed traffic that zips across main roads as they invade the mountain trails. 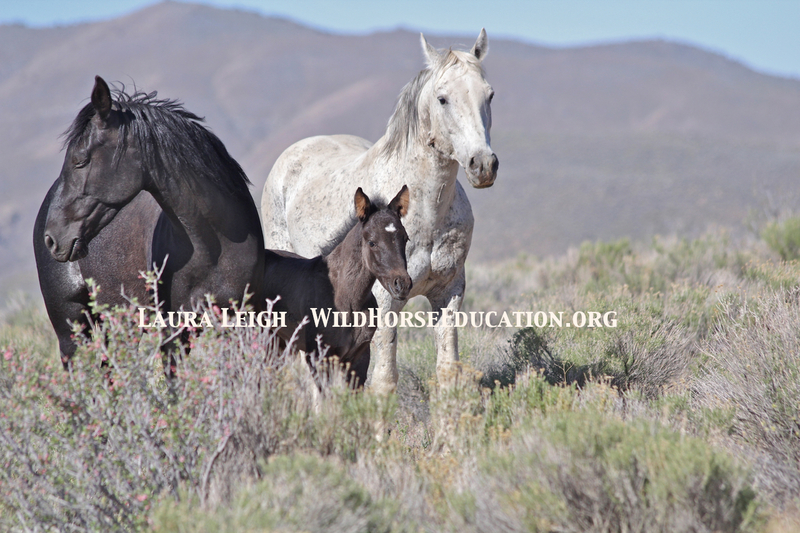 Over Memorial Day weekend Wild Horse Education was told that there were sightings of a horse with a gunshot wound. We went out to see what we could find. What we found were ATV’s and off road vehicles speeding down main roads and up mountain trails disturbing what had been a peaceful range all winter long. We saw several off road “bikes” using the livestock water trough as a “start point” for a race. This drove cattle running across the road to almost collide with a “truck” that sped around us as we were moving too slow. That water trough is the only significant source of water in the nearly 90 degree temperatures for cattle and wildlife in that immediate area. We did not find a wounded horse. We did not find a stallion we have been following for four years. We hound his two mares and foal, but not him. We immediately notified the Sheriff and BLM. We have not heard back from the BLM Carson district. As the “Flanigan Complex” removal operation was conducted Leigh had court hearings but managed to get to the roundup and to holding. There she documented evidence of the type of conduct she was actively addressing in another case. 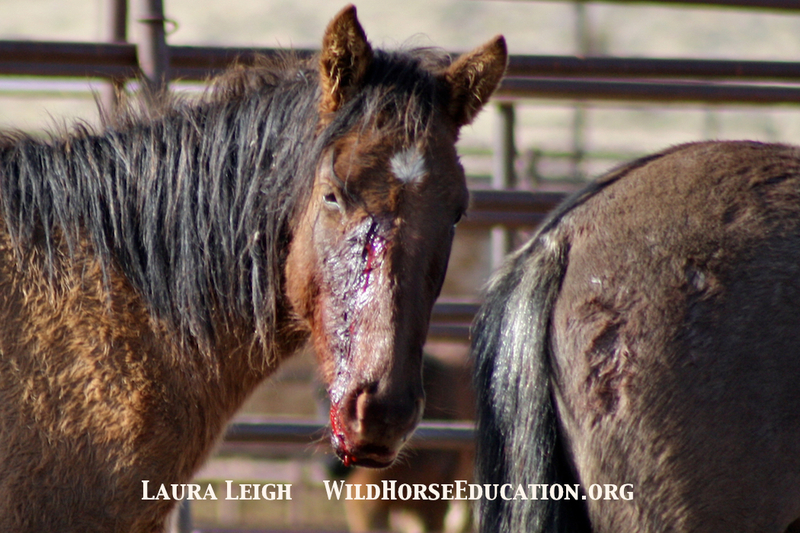 The documentation included wild horses being driven chaotically to the trap over the “rugged” terrain, a mare with a torn face and a baby with a broken leg. As much of Nevada is currently experiencing drought we are watching areas that are heavily utilized by other interests. Livestock is out in these areas and recreation has not been limited. As we have had significant late precipitation forage in much of these areas is better than in many other parts of the West. Wild horses observed are in good body condition. Of note is that only two foals were spotted out of 22 horses in Granite and Dogskins. Significant travel in Flanigan only revealed 4 horses to observe. We will continue to search for the old stallion. A full report will be filed after repeat visits to these HMAs. 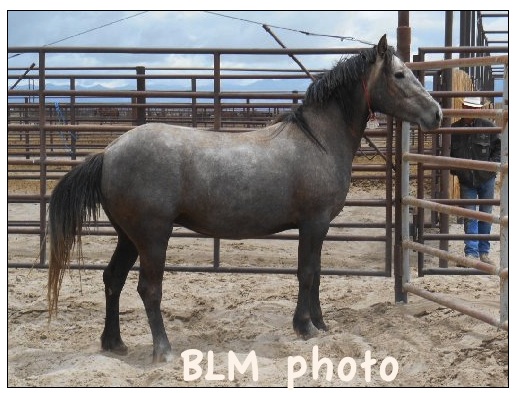 Of note is that two of these horses were featured on the BLM Internet adoption event the last round. A mare from Flanigan was adopted but the mare marked as “Granite Peak, 7613,” was not. However seeing those horses listed as “Fallon” on the internet lets’s us know that most of the Flanigan horses are now behind the “off limits to public view” facility “Broken Arrow” (that BLM now calls simply “Fallon” after outrageous images reaching the public of treatment of wild horses housed there caused the BLM to stop offering weekly tours in 2012). 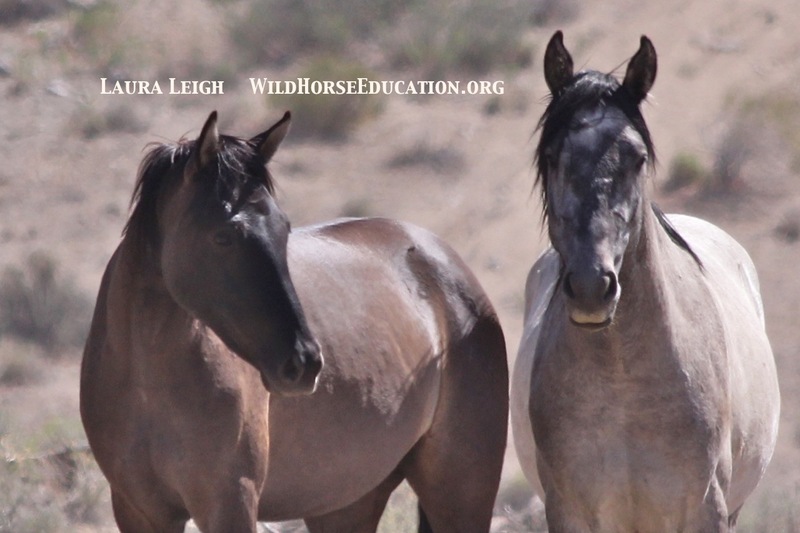 Wild Horse Education is devoted to gaining protection for our wild horses and burros from abuse, slaughter and extinction.